Parts manufactured by Milr Products are made in the USA. All parts are sand cast 356 aluminum. All castings are marked left and right. 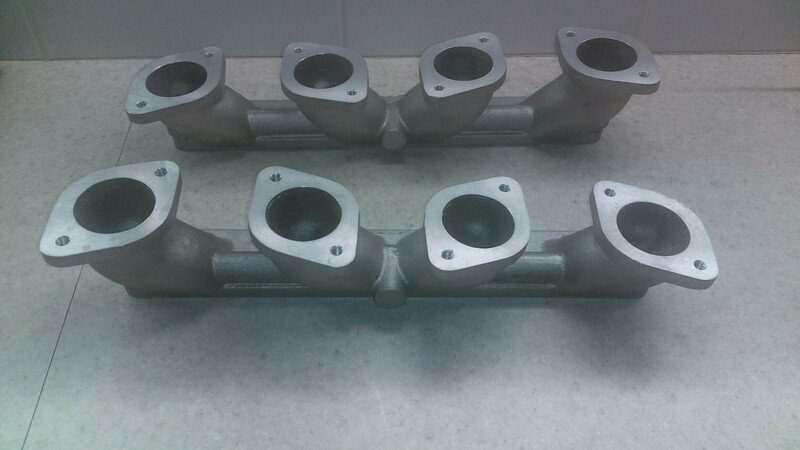 They are machined on a 3 degree angle, the same as stock manifolds. These castings are designed for WEBER or EMPI carburetors. 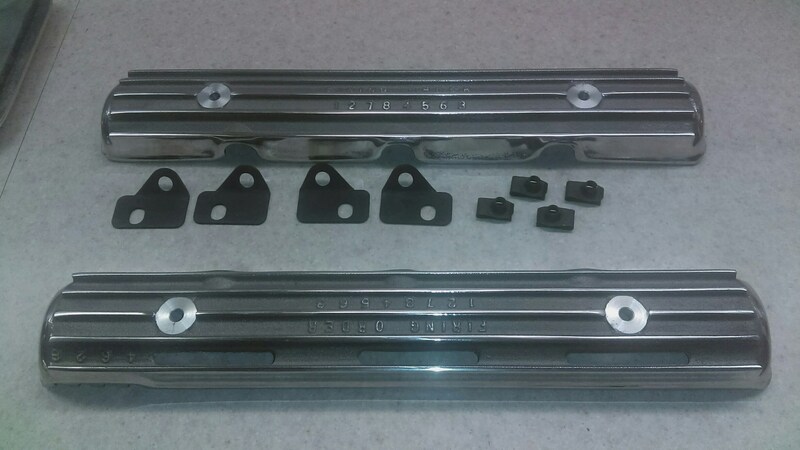 A boss is cast thru runners for drilling, for vacuum when using throttle bodies for fuel injection. 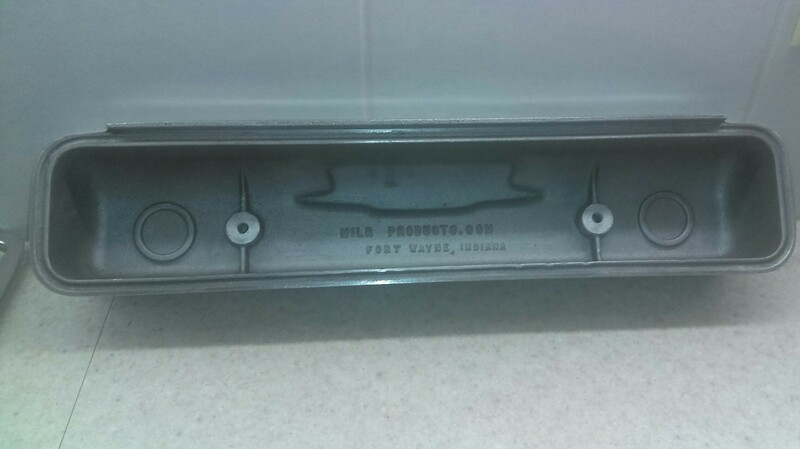 Mounting bolts are included, not the gaskets. All parts are plus shipping.Please include your zip code for shipping cost. 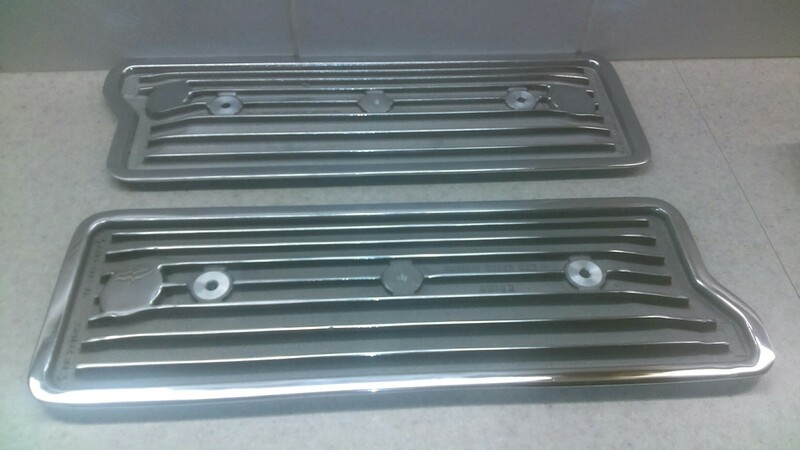 Castings are highly polished on top of fins, and perimeter of the casting. The underneath of each part is ribbed for strength. Optional oil fill and PCV will have baffle plates. Cap provided with oil fill, as is PCV and grommet. 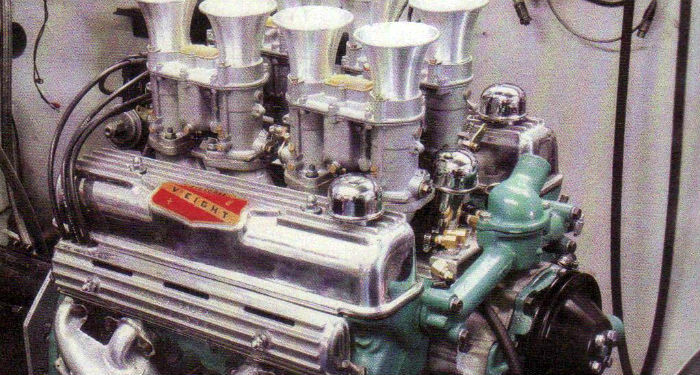 Please specify engine year (53-56 long) and (57-66 short). All prices are plus shipping. Please include zip code for shipping cost. 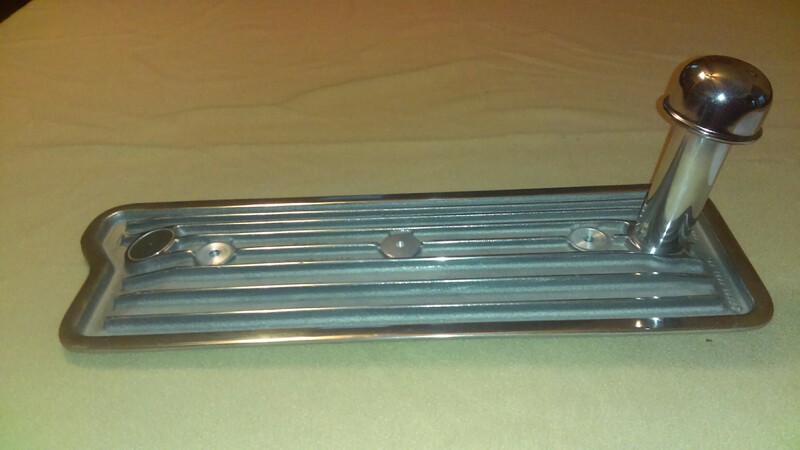 Highly polished on top of fins, and around perimeter of the casting. The underneath of the casting is ribbed for strength. Includes FIRE BALL V-8 decal. 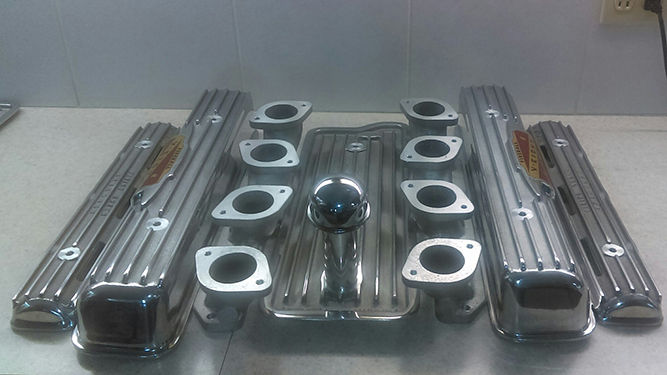 Special order on Valve Covers for a powder coated color can be ordered. 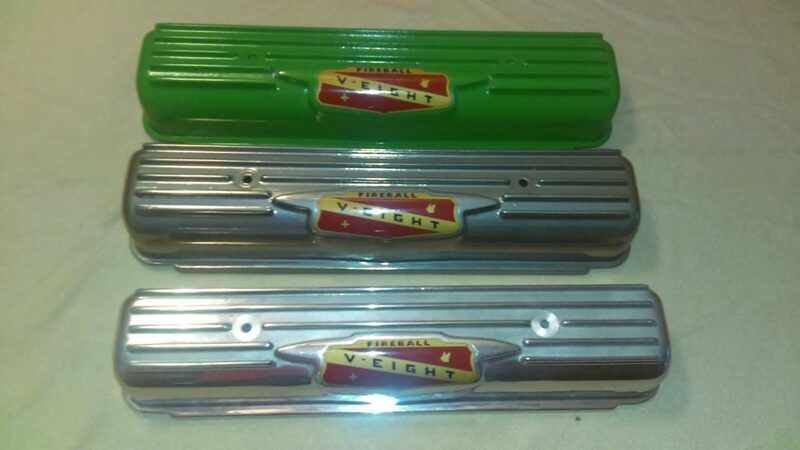 Displayed on the web site we have Buick Green, Chrome, and Polished. A polished cover added for a visual comparison. Highly polished fins, and around perimeter of casting. Parts both left and right have notches to locate plug wires as in the original cover. Later model engines requiring clips for mounting are included.